Program #WOLR002. Recorded in Santa Fe, NM on September 12, 2011. Today’s economic crisis is the most severe since the Great Depression. What are its root causes? The conventional explanations put the blame on greedy bankers who pawned off credit default swaps, sub-prime mortgages, and a smorgasbord of derivatives, on a hapless and helpless public. To make matters worse there was little or no regulation. So if we tinker with some reform measures, pass some legislation, a tax cut here, a little stimulus package there and everything will be hunky-dory. Will it? The seismic failures and problems plaguing Capitalism are systemic and deep. Many people are in dire straits. But not the upper crust. They are riding the gravy train to more riches. Fundamental change is necessary to avoid future collapses. It’s long past time to examine Capitalism itself. Interview by David Barsamian. 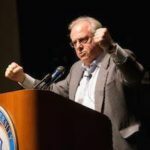 Richard Wolff is Professor of Economics Emeritus at the University of Massachusetts in Amherst and currently a visiting professor at the New School in New York. 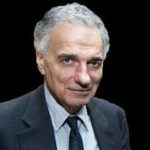 The New York Times calls him “America’s most prominent Marxist economist.” He is the author of numerous books including Democracy at Work, Capitalism’s Crisis Deepens and Occupy the Economy with David Barsamian. 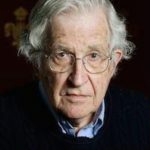 This is a wonderfully clear, listenable, and actionable explanation of the systemic crisis of our over-riding economic model– capitalism. Capitalism Hits the Fan – it is true – and we know it. Those of us working – cannot afford the time to walk away from the grinding wheel. Those in upper crust are busy having loyalty to themselves. It is up to the middle class to build up enough integrity, courage and intellect to speak out. Expect and be ready for resistance – it is like taking a toy from a bully. Look at it as an investment in the future of your children. My tip of a hat to Richard Wolf for participating in the process. In the midst of this economic crisis, Wolff does an excellent job directing our attention beyond the short-sighted, self-serving demagoguery taking place throughout the nation. Offering an historical, systemic, and practical perspective on the origins of our current situation, he shocks and startles listeners out of our complacency and blind reverence toward our capitalistic system. Wolff’s words are powerful. What is more, they ring true and offer concrete and specific steps that we, as a nation, could take to move in a sustainable direction. I have listened to professor Wolff’s radio program and have heard him interviewed several times. However, the hour with David Barsamian in the Systemic Crisis interview was the most clear exposition of his arguments I have heard. Mr. Wolff has always struck me as easy to understand and relevant, but this discussion is a primer on capitalism from the 50s to the present. I recommend this talk to anyone who needs a basic understanding of how the economic crisis came to be. Send it to your friends and particularly to those who oppose the efforts to rearrange the capitalist model.